There's nothing more disappointing than falling in love with a piece of clothing on the hanger, only to realize in the dressing room that it's way too long. For shorter girls, petite sizes are a blessing. Regular sizes fit women of average height (generally 5'4" up to 5'8"). 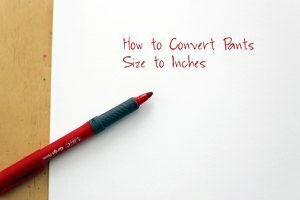 Petite clothes fit women who are 5'3" or shorter. They're usually designated by a "P" after the size number. The word doesn't necessarily mean slender—full-figured or extra-large sizes are also available in petite. Petite clothing comes in cuts made to flatter a woman's shorter frame, including shorter sleeves and torsos. Petite-sized pants have inseams up to two inches shorter than regular women's sizes. Designers of petite clothing often use fabrics with different patterns than they would for other sizes, like smaller prints or vertical stripes to make short women appear taller. Petite clothing may also have smaller buttons, narrow collars and shorter trim to keep them visually proportional. 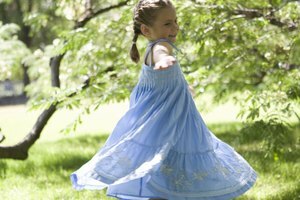 Petite Resource: What Is Petite Clothing? Carla Slavey has been a professional writer for over 11 years. She began by working for a small daily Indiana newspaper, "The Sullivan Daily Times," and has continued by freelancing for several online publications. Slavey graduated from Western Kentucky University with a Bachelor of Arts in English writing.